Tennis Technology, Inc., is fully dedicated to the creation and upkeep of superior sport surfaces. Our tracks and courts are beautiful, innovative, top-notch surfaces that look incredible and are built to last. Since 1979, Tennis Technology, Inc., has been constructing award winning projects throughout Kentucky, Ohio, and Indiana. We are proud to have constructed courts used for USTA pro-circuit events, as well as the ACC, SEC and NCAA events. We are dedicated to safety, quality, and customer satisfaction. We will walk you through every step of the project to ensure your track or court is functional, durable, and the most vibrant around. Courts can range in speed and cushion. Each surface can be custom designed. For forty-plus years, we have built courts for USTA pro-circuit events as well as NCAA, NAIA, and NHSA national tournaments. From construction to striping, we do it all. Track surfaces differ in feel, durability, and sight. Surface-life and maintenance recommendations can be deciding factors for the track that's right for you. We install latex and polyresin based binders, and our tracks can be designed to meet or exceed IAAF standards. Basketball, Pickleball, Volleyball, Futsal, and Many More! Your options are not limited. We construct a variety outdoor and indoor courts. 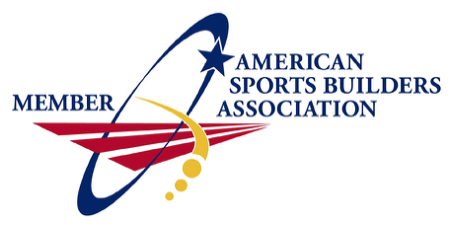 All of which are installed according to A.S.B.A., national and International tournament guidelines and standards. As new sports garner wider audiences, parks and recreational centers need facilities that appeal to a much broader audience. The multi-purpose sport surface is gaining popularity at a great pace. Youth-tennis, pickleball, volleyball, basketball, futsal, shuffleboard, and many other court layouts are demanded and readily available. These additions are usually low-cost and are met with much satisfaction. Court cracking is the most common problem for outdoor hard-court surfaces. While expertly designed, installed, and maintained, all asphalt/concrete surfaces will crack over time. We offer the proper repair and maintenance of all court cracking. The systems we use range from fabric bridging systems, asphalt overlays, carpet overlays, and many more. We also offer track repair and refurbishment options. Started out of a pickup truck in 1978 by Jeff Henderson, Tennis Technology, Inc., has grown to be one of the largest tennis court and running track installers in the Kentucky, Ohio, and Indiana areas. From professional tournament play to recreational residential use, we offer complete construction, surfacing, and maintenance of your sport surface. Our team is dedicated to your satisfaction.